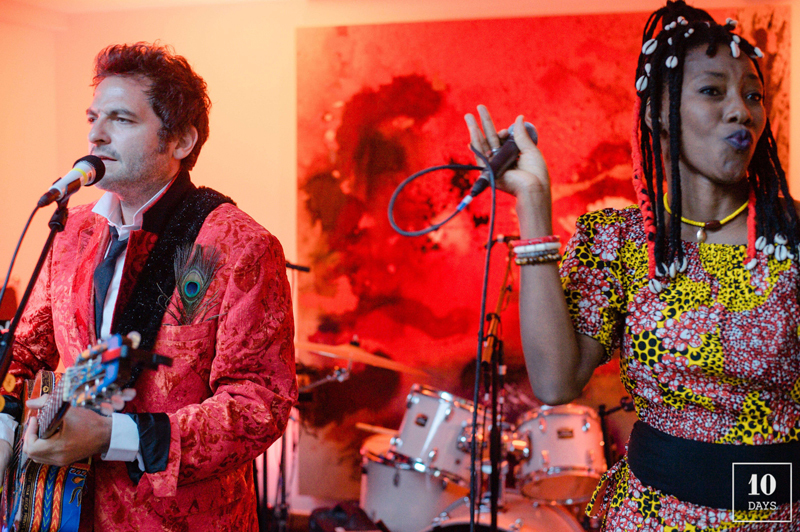 Last night, celebrating the 70th Cannes Film festival, the villa l’A.M.E “Atelier des Merveilles Ephémères” hosted a very intimate showcase of french iconic musician Matthieu Chedid in a duo with Fatoumata Diawara. To set up the mood, the girls band Slap led by Micky Green, kicked off this fine evening with a charming performance. Hidden in the heart of Cannes, a few steps away from the crowded Croisette, the villa l’A.M.E, offer to the “festivaliers” a bohemian break to chill out under the trees and sipping a few Ciroc cocktails.